Home > Questionnaires > Questionnaire: Prepared for a Political Emergency Abroad? Travelling abroad carries with it some unique risks, including the chance of being caught up in political upheaval. While most political emergencies occur only after a period of well-publicised tension, some political situations develop quickly and without much warning. Regardless of how political emergencies occur, they can be frightening and potentially dangerous for those caught up in them but there are some things that travellers can do to help prepare for coping with political upheaval on their travels. To help you determine if you are prepared for a sticky political situation overseas we have put together the questionnaire below. Simply answer “yes” or “no” to each question and then total your answers to determine if you are prepared for a political emergency abroad. 1. Are you aware that the Foreign and Commonwealth Office offers travel advice by country? 2. Do you carry the contact information for the nearest embassy or consulate when you travel abroad? 3. Do you stay abreast of political news in local areas while you travel? 4. When you leave the country do you leave your itinerary and contact information with a friend or relative? 5. Do you carry contact information for an emergency contact at home and abroad while you travel? 6. Have you investigated insurance cover for political emergencies abroad? 7. Do you bring a working knowledge of local politics with you when you travel overseas? 8. Are you aware of political views as they pertain to women when you travel abroad? 9. Do you keep copies of your passport, travel documents and financial information in a secure location when you travel? 10. 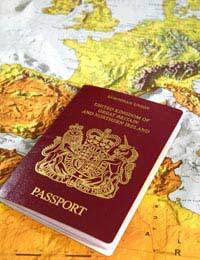 Do you leave current photographs and/or copies of your passport with a friend or relative before you travel overseas? 11. Do you know the location of political transportation terminals should you need them in the event of political emergencies while travelling abroad? 12. Would you be comfortable asking for emergency support such as cash, translation services or message delivery in the event of being caught in political upheaval while abroad? Are You Prepared for a Political Emergency Abroad? If you answered “yes” to between one and four questions then you are not likely prepared for a political emergency abroad. It’s not a nice thing to think about, but imagining what could happen during political upheaval can help you better prepare. Check to see if there is any reason to believe that a political emergency is likely before you travel abroad, and research local politics so that you understand the context of any events that might occur while you are travelling. If you really need help, see if you can talk to someone who has recently been to the area to which you plan to travel and discuss what you might likely face while abroad. If you answered “yes” to between five and eight questions then you may be prepared for a political emergency abroad. You are likely an informed traveller but make sure that you take necessary precautions should you need help while overseas. Keep others informed of your plans and always carry information on how to contact others while you are away. If possible, keep a mobile phone with you or instructions on how to reverse charges to reach others should you need them. Though it might worry family or friends to hear from you in an emergency this is no reason to avoid asking for help should you need it. If you answered “yes” to nine or more questions then you are most likely prepared for a political emergency abroad. Review any questions to which you answered “no” and make these changes to be as prepared as possible the next time you travel. Check in with the Foreign and Commonwealth Office prior to each trip and review local political news before moving to each new country or area. When you can make informed decisions about your travel destinations you’ll be less likely to end up in a surprising political situation.